You can log in to your WordPress site through the Account Control Center (ACC) if you host the site on pair Network servers. 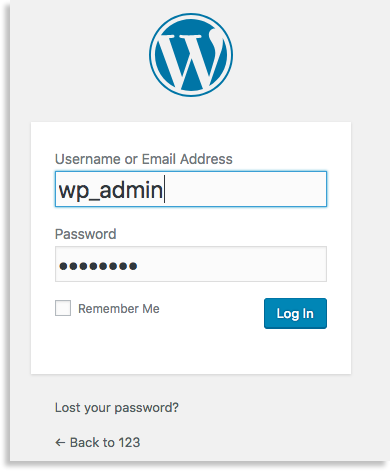 If you created a WordPress site on a WP Enthusiast or WP Professional account, follow these instructions to log in to the WordPress admin panel. This will take you to a WordPress login page where you can input your credentials. Input your username and password and click Log In. If you don’t want to go through the ACC every time you log in, you can bookmark the login URL in your browser. 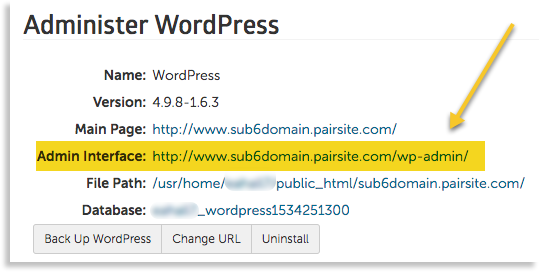 If you created your WordPress site through pairSIM, you should have received an email at the address you specified in the pairSIM WordPress installation process. This email will specify the login URL, username, and password for accessing your new WordPress site.